Learn how to add a retro red and blue 3D effect to any image, just like those classic 3D movies from the 1950's! Once you've learned the steps, this 3D effect can be created from start to finish in under 30 seconds. Long before James Cameron's Avatar transported us to the breathtaking and beautiful world of Pandora with its state of the art 3D, movie audiences in the 1950's were wearing cheap cardboard glasses and screaming in horror as monsters and aliens leaped out at them from the screen in terrifying red and blue. Photoshop may not be able to replace today's modern 3D technology, but as we'll see in this tutorial, we can easily recreate a retro-style red and blue 3D movie effect! Of course, since the images we work with in Photoshop are flat and two dimensional, we're a bit limited in what we can do with them. Be we can still pull off something that at least looks like it was taken straight out of a old 3D movie. And in fact, you'll be amazed at just how easy this effect really is. If you can duplicate a layer, click a couple of checkboxes and nudge an image to the left, you have all the skills you need! 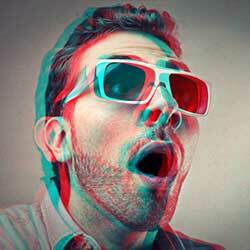 The final "retro 3D" effect. The original image. Photo credit: Adobe Stock. 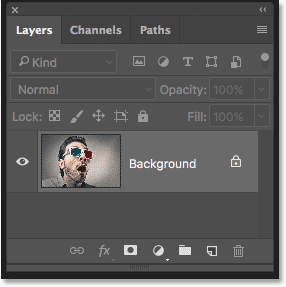 The Layers panel showing the original image on the Background layer. Dragging the Background layer onto the New Layer icon. Naming the layer "3D" in the Duplicate Layer dialog box. 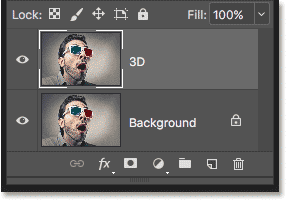 The new "3D" layer appears above the Background layer. Choosing "Blending Options" from the Layer Styles menu. The Channels option in the Layer Style dialog box. Turning off the green and blue channels. Clicking the visibility icon for the Background layer. Clicking the empty box to turn on the Background layer. The full color image returns. 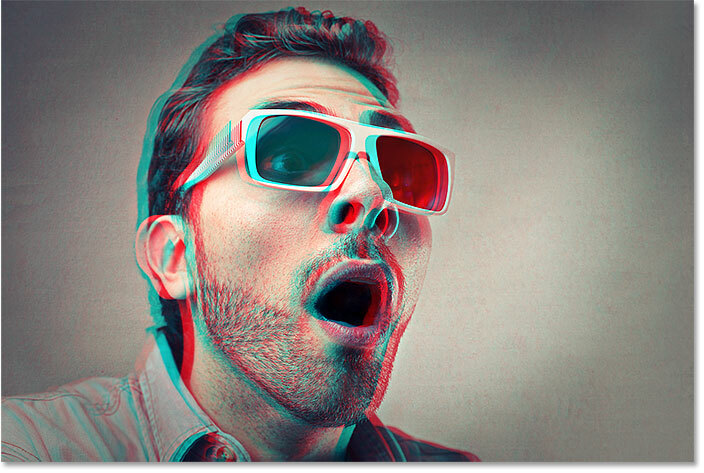 Nudge the image on the "3D" layer to the left to create the "retro 3D movie" effect. And there we have it! 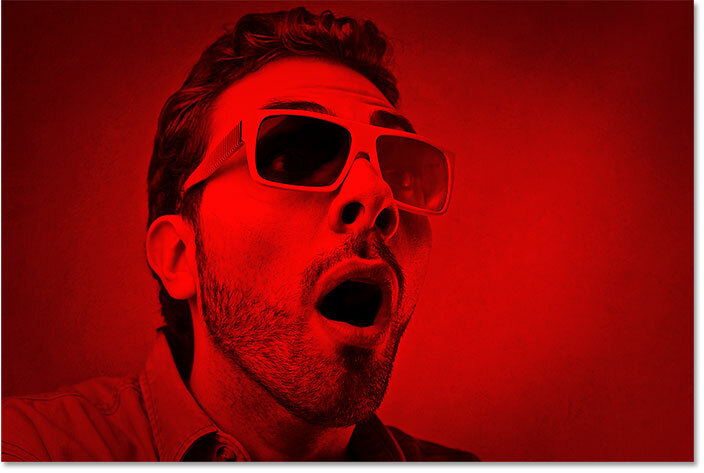 That's how to quickly add a fun retro 3D movie effect to an image with Photoshop! Visit our Photo Effects section for more Photoshop effects tutorials!